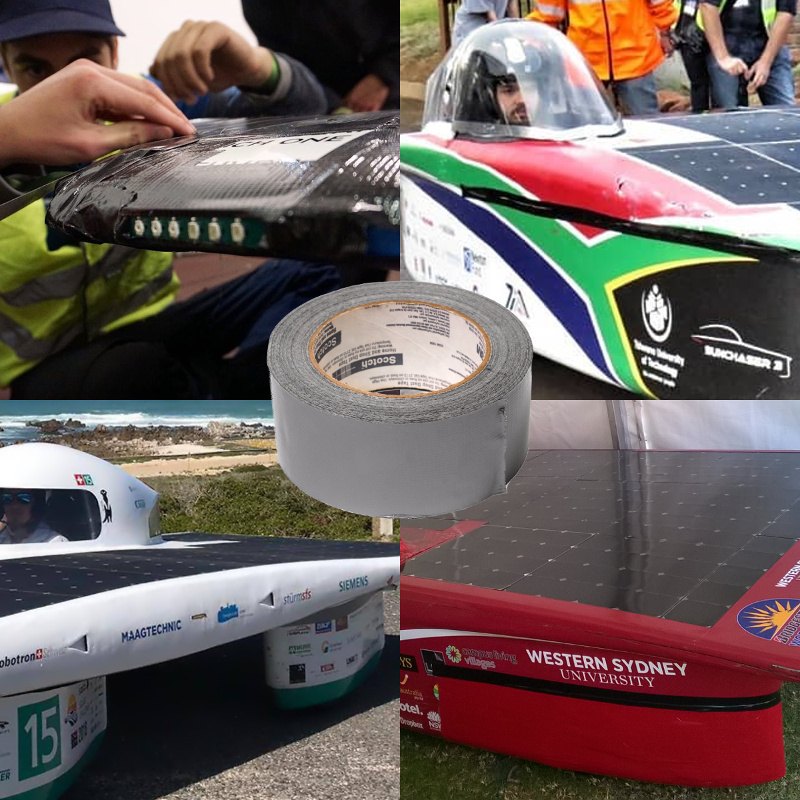 Photos: Punch Powertrain Solar Team (iLumen European Solar Challenge 2018), Tshwane University of Technology (Sasol Solar Challenge 2018), Solar Energy Racers (Sasol Solar Challenge 2018), Western Sydney University (World Solar Challenge 2015). 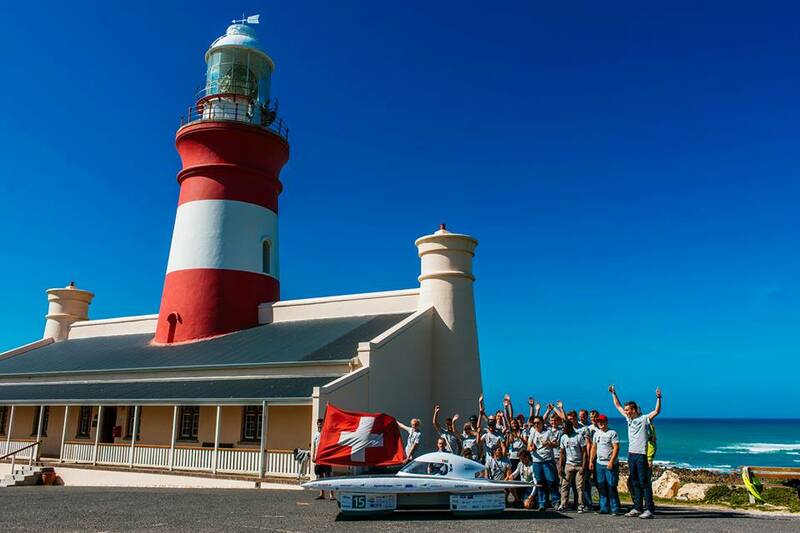 Here are the final results for the Sasol Solar Challenge in South Africa, after 8 days of racing (click to zoom). 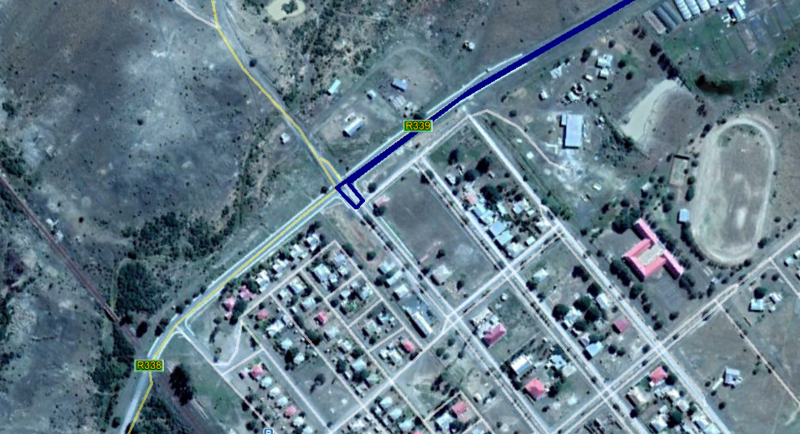 The photo is from here (taken on day 8), and the daily “loops” are marked. 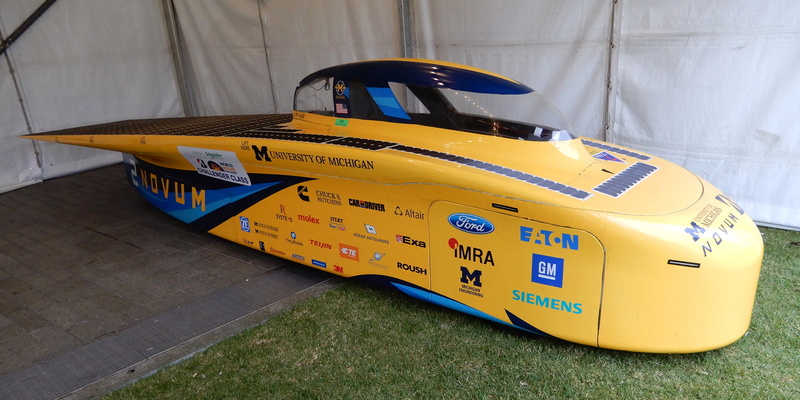 Only the Challenger class is shown (City U, the only car in the Sustainability class, did 175.5 km). 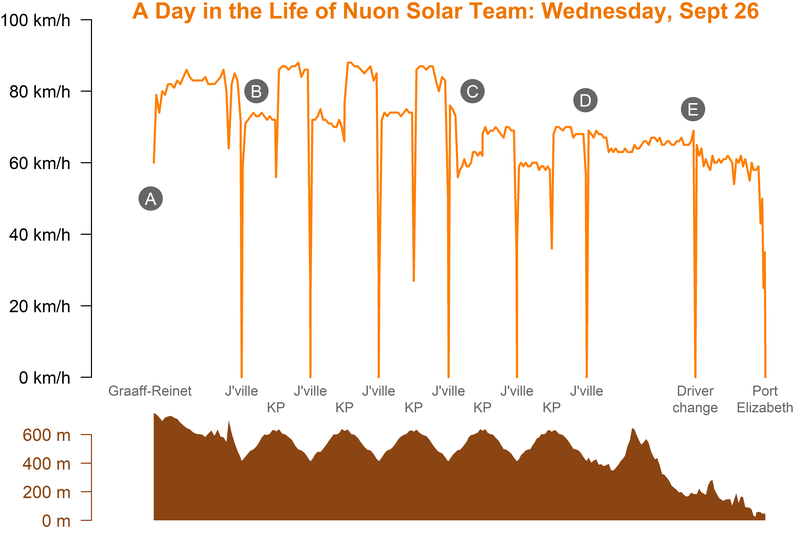 The big news was the penalty of 117.4 km imposed on Nuon when a sick team member dropped their bag in the wrong van. The kilometres subtracted by the penalty are marked with light orange in the chart above. They did not, in the end, affect the outcome of the race. 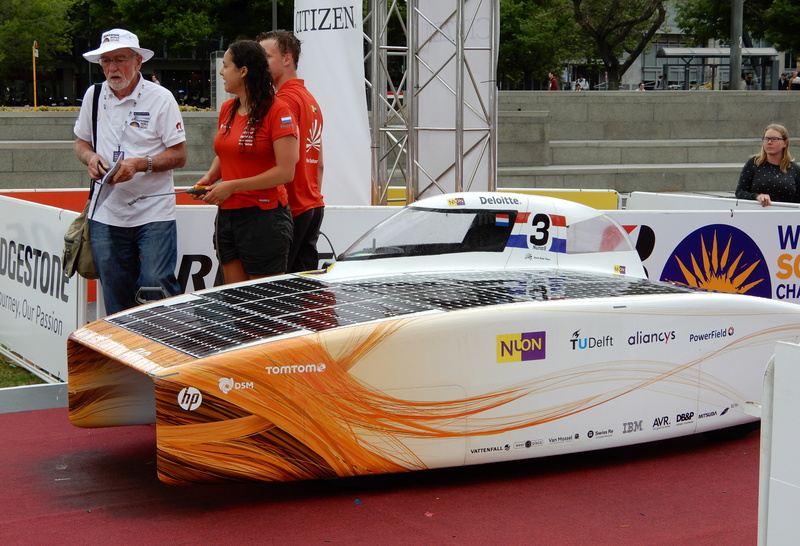 Nuon has some excellent videos about the race (Dutch with English subtitles) for day 1, day 2, day 3, day 4, day 5, day 6, day 7, and day 8. In addition, I should note that SER came 3rd in a tough race, which probably puts them in the world top 10. Tshwane University of Technology (TUT) have taken over as South African champions. Congratulations! And the high school team Sonke (from St Alban’s College and St Augustine’s LEAP School) also deserves a special commendation, displaying both talent and persistence. 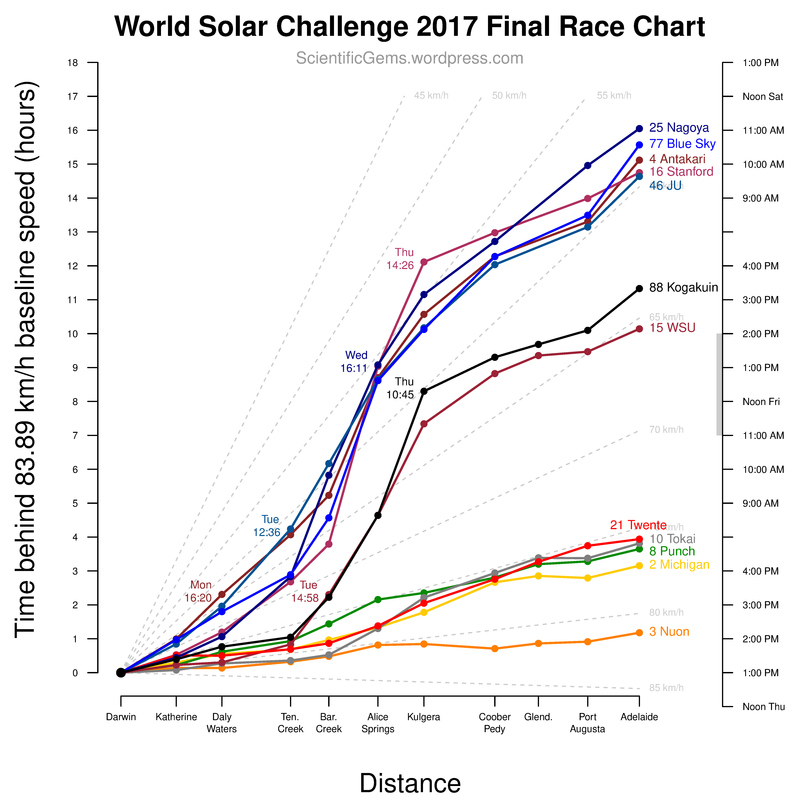 After WSC 2017, several people (including me) attributed Nuon’s large lead (see the chart below) to clever weather strategy. 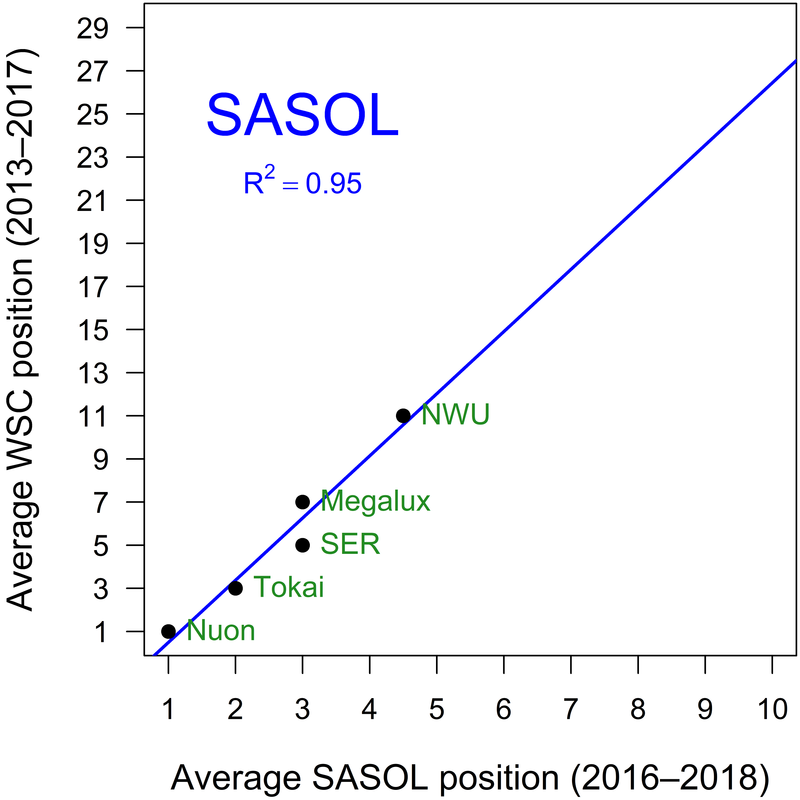 But this race, where all cars have been more or less in the same part of the country, suggests that, as well as having flawless race strategy, Nuon have a car that really is significantly faster than all the others (roughly 7% faster than Tokai in Australia, and 6% faster here). This fact may encourage other WSC teams to stick with a tried-and-true catamaran design (as Canadian teams Poly Montreal and ETS Quebec have done). And Nuon themselves? I cannot see how they can possibly improve on Nuna 9S. Maybe they will try something radically different, just for a change. 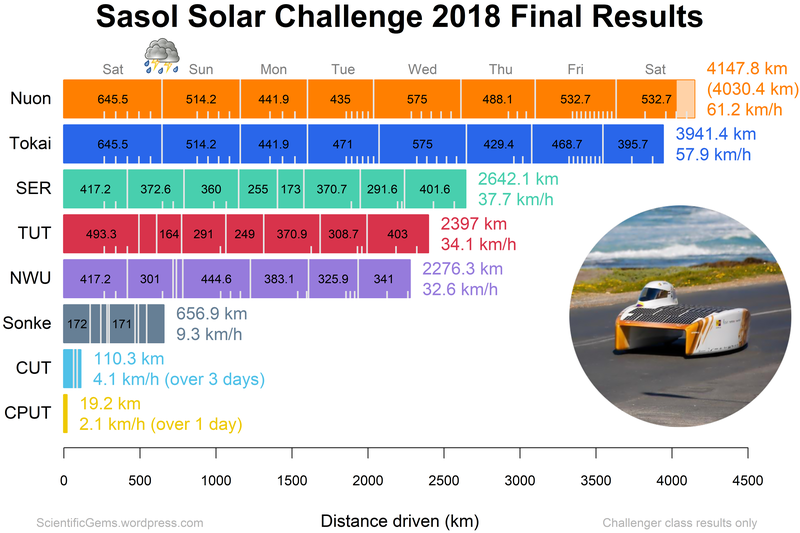 Here are the results for the Sasol Solar Challenge in South Africa, as at day 7 out of 8 (click to zoom). The photo is from here (taken on day 6). 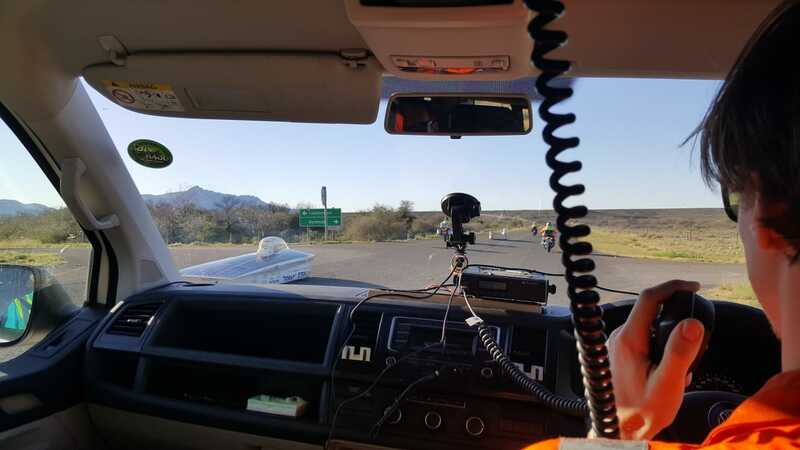 The big news is the penalty of 117.4 km imposed on Nuon when a sick team member dropped their bag in the wrong van. The kilometres subtracted by the penalty are marked with light orange in the chart above, and move Nuon down to 2nd place. 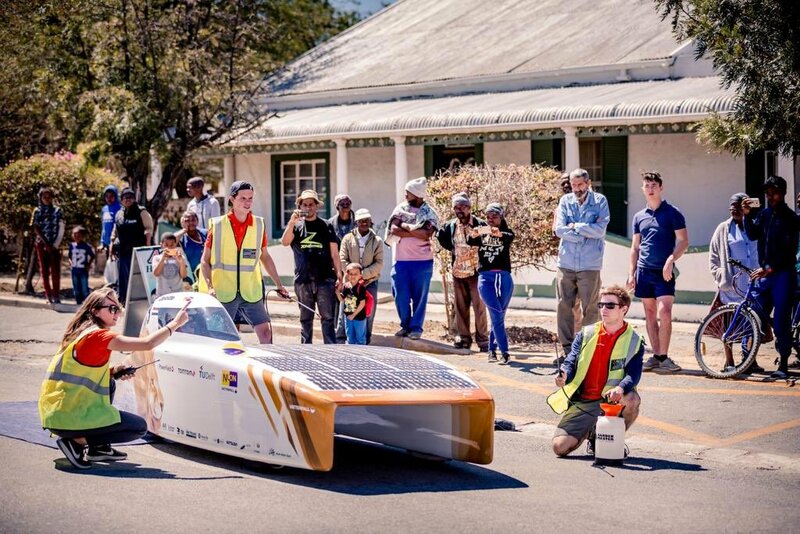 In my view, it reflects poorly on Tokai that they made a formal complaint about this incident, and it reflects poorly on the Sasol Solar Challenge that they imposed such a large penalty. Nuon has some excellent videos about the race (Dutch with English subtitles) for day 1, day 2, day 3, day 4, day 5, day 6, and day 7. 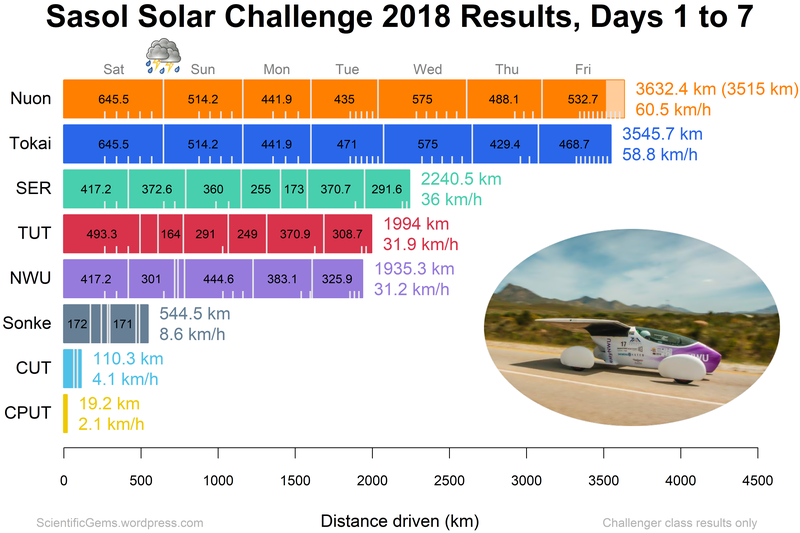 Here are the results for the Sasol Solar Challenge in South Africa, as at day 6 out of 8 (click to zoom). Only the Challenger class is shown. The optional daily “loops” are marked, the black spots indicate time penalties, and the photo is from here (taken by Tokai on day 4). 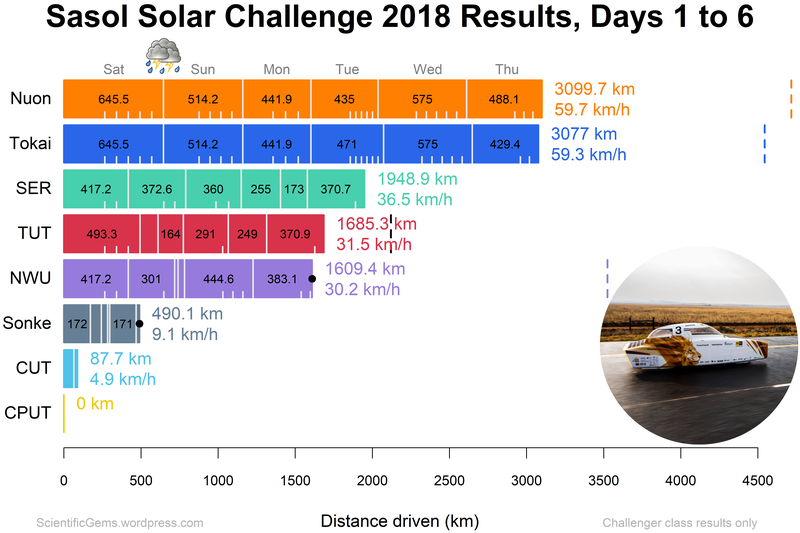 I have calculated average speeds for the cars (hopefully correctly), and the short dashed lines show distances travelled in the 2016 event (which was a faster race, because the cars had larger solar panels). 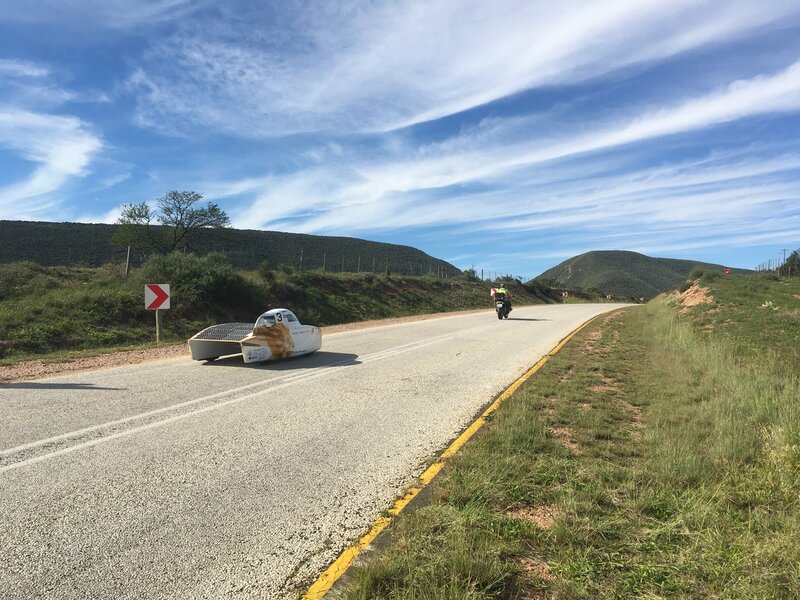 On Wednesday, Nuon tried to do one more loop than Tokai, but decided halfway through the day that they couldn’t manage it, and slowed down again. 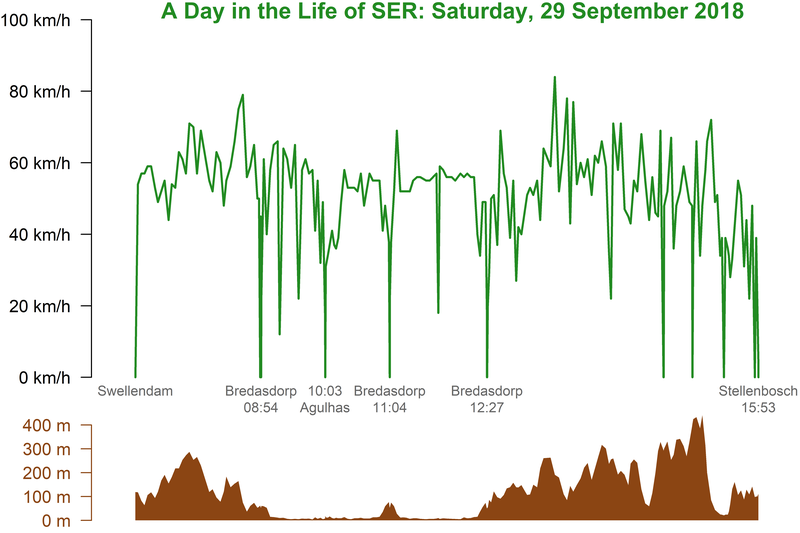 On Thursday, they did manage it, and are now 22.7 km ahead of Tokai. 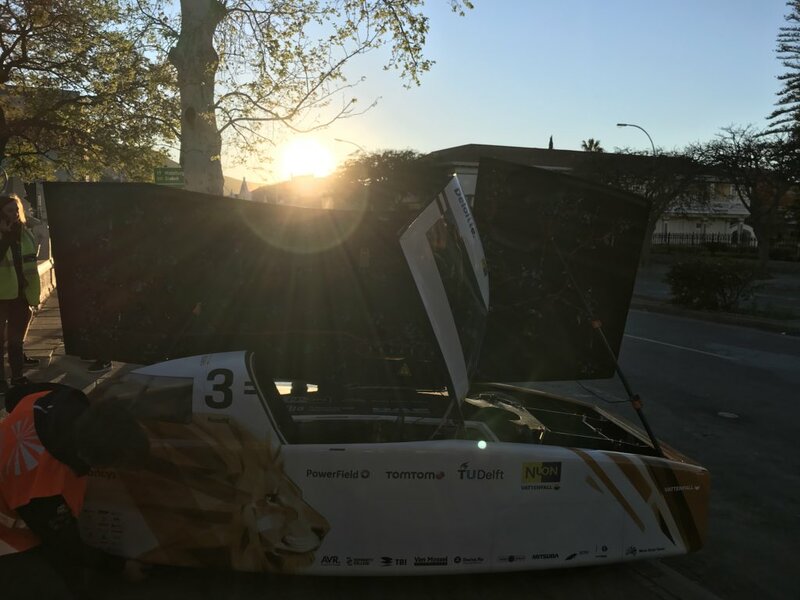 Despite some troubles on Wednesday (a strong wind gust ripped the array off the car, requiring some repairs), the Swiss team (Solar Energy Racers) is hanging on to 3rd place. Nuon has some excellent videos about the race (Dutch with English subtitles) for day 1, day 2, day 3, day 4, day 5, and day 6. See also the online tracker and my teams list and information page, which includes links to team social media.